The 15 Best Activities for College Students in Nebraska! Nebraska is home to 29 college and universities with a population of over 25,000 students at the University of Nebraska-Lincoln alone. With so many students, there’s no shortage of exciting happenings going on outside the classroom. But in case you need some ideas for what to do when you’re not studying, check out these 15 fun activities for college students in Nebraska. Any space within a two-mile radius of Memorial Stadium in Lincoln is guaranteed to be packed with tailgaters celebrating Nebraska Football Saturdays. Head west of the stadium right underneath the I-180 bridge for a jam-packed tailgating event complete with food, live music, and all the beverages you could ever ask for. Located on Q Street in Omaha, Over Easy is a hip breakfast and brunch spot open every day from 6 a.m. to 2 p.m. and is famous for revolutionizing the standard American breakfast with fresh, high-quality ingredients and unique offerings such as homemade pop tarts. If you’ve had a long night, Over Easy also has a drive-thru that allows you to quickly pick up an awesome breakfast to-go. Grab some friends and head out to Chimney Rock National Park where you can pretend you are pioneers for a weekend and sleep in traditional teepees for a truly rustic camping experience. Spend the day hiking and enjoying some breathtaking sights. 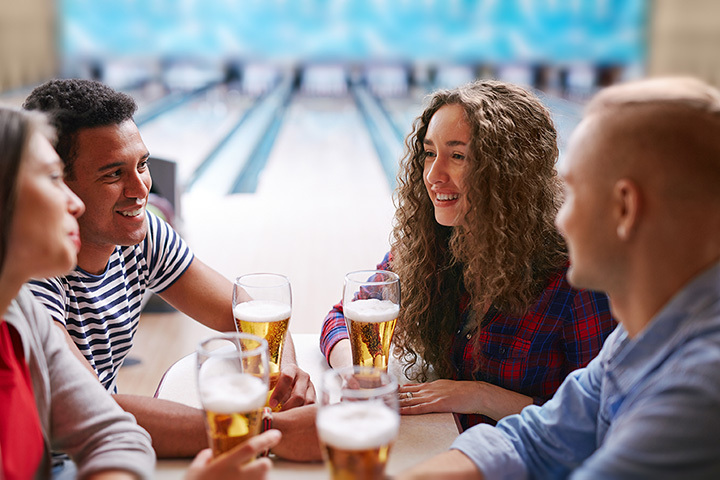 Moe & Curly’s in Omaha has karaoke every night and is the perfect place to hang out with friends, play some pool, and of course, sing karaoke in a friendly, student-friendly atmosphere. For a road trip that’s out of this world, a drive out to Toadstool Geological Park is a great choice. A hike through these stunning rock formations will certainly lead to some spectacular selfies. For a good laugh, check out the talented performers at The Backline or the Funny Bone Comedy Club in Omaha. You and your friends can enjoy an unforgettable night of laughter, fun, food and drinks! Test your bowling skills at one of the best bowling alleys in Nebraska—Sun Valley Lanes in Lincoln. This swanky hotspot lets you take a picture and include it in the animations on the screens to personalize your games. Affordable food, such as burgers and pizza, is also available and there is also an arcade in case you need another way to compete against friends. Set out to uncover some of Nebraska’s greatest (and spookiest) mysteries by doing a road trip through the most popular haunted spots in the state. Visit the Alliance Theatre in Alliance, where employees claim they’ve seen dark figures and strange movements in the offices. Or take a trip to the former military camp of the Fort Robinson Massacre in 1879. Visitors have reported hearing horses running and sights of ghosts dressed as soldiers, so stop in if you dare! If you’re looking to switch up Netflix nights, catch a smaller, independent film instead at Film Streams or the newer Alamo Drafthouse in Omaha. Each offer independent films in rotation as well as themed movie nights. At the Alamo Drafthouse, a great menu and local brews are also available for a fun twist on movie night. When the days start warming up, the younger crowds hit the Niobrara River each year to go tubing and beat the heat. The river turns into a fun, social event and there’s plenty of camping available around the site. The Ponca State Park includes 22 plus miles of challenging trails for both walking and biking and other outdoor activities year-round. With stunning views of the Missouri River bluffs, this is one Nebraska spot everyone should visit at least once! The NCAA Men’s College World Series is definitely a bucket-list event. Thousands pour into Omaha for the event for some of the best tailgating and fun in the country. The Old Market in Omaha is one of the largest shopping and entertainment districts in the state. It’s also a favorite among students to enjoy a meal and drinks with friends thanks to the incredible selection of restaurants and bars for every budget. When the tents go up, the fun begins! Oktoberfest is held every year in Sidney, Nebraska and attracts major crowds to enjoy a downtown parade, live dancing, music, ethnic food, and a beer garden. The event takes place at the end of September. Test your knowledge at one of the many local bars and restaurants that host trivia night in Omaha. Dudley’s Pizza & Tavern and The Slowdown are just two great options!